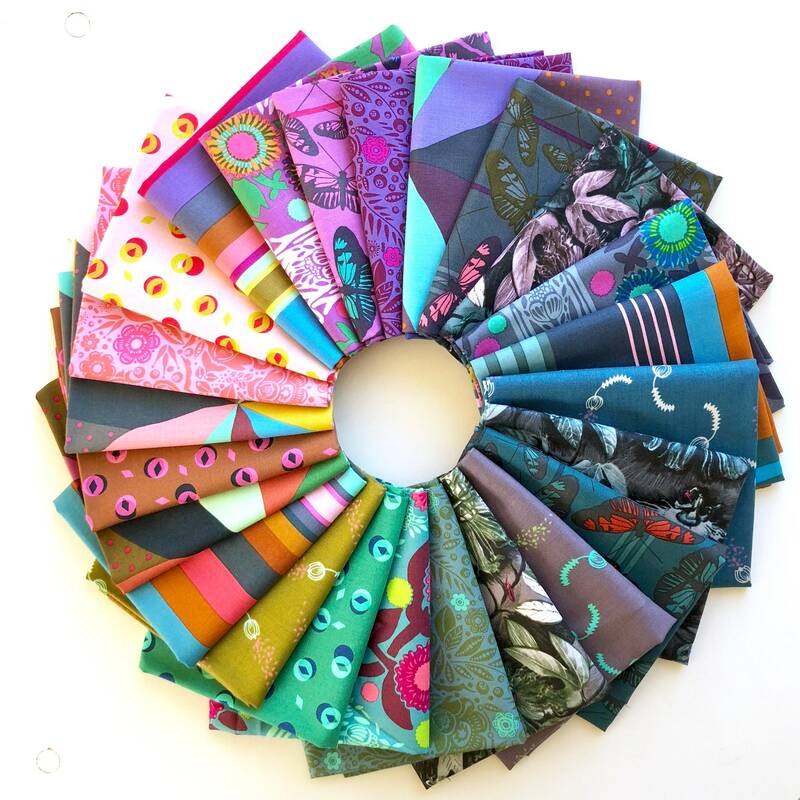 We are listing for sale a rainbow fat quarter bundle of Passion Flower by Anna Maria Horner for Free Spirit Fabrics. There are 24 in total. Fat quarters are cut to Australian dimensions (approx 50 cm by 55 cm, or 20 by 22 inches). Feel free to request continuous yardage (multiple quantities in your shopping cart will be cut as continuous yardage).